"Surrey never ceases to surprise. Just when you think you've got it summed up something turns up to make you re-think. Who would have expected to find in a pleasant but not otherwise outstanding village a church built by a Swedish naval architect?" So wrote a passing journalist in 1992. He went inside and found that an exhibition was being held to celebrate the 90th anniversary of the church's foundation. He said this was well worth visiting because it demonstrated vividly how the parish church formed the social centre of a small community. This short history attempts to describe how this unusual church was built, and how it has come to play such an important and central part in the village. It should show that every artefact and practically every stone tells a story. Nothing is there by chance. However, the church is more than bricks and mortar. 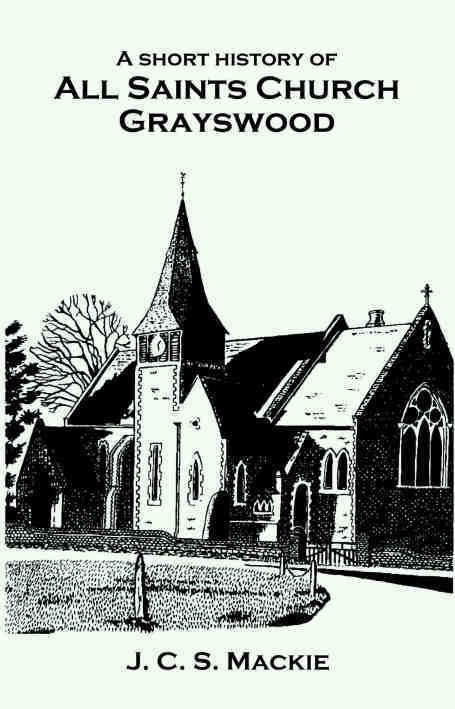 All Saints Church, Grayswood, has been maintained not only as an edifice, but as a centre of social and charitable Christian life by the enthusiasm and dedication of the people, laity and clergy who have served and supported it. Some of these are mentioned, but there are many more who are not, and many to whom it has not been possible to do full justice. To continue through its second century this church must depend on still more dedication and hard work. The parishioners give their support because they know they are working for something that is a centre of excellence. The beauty of the building has had much to do with creating this awareness.